Hey Lovelies! 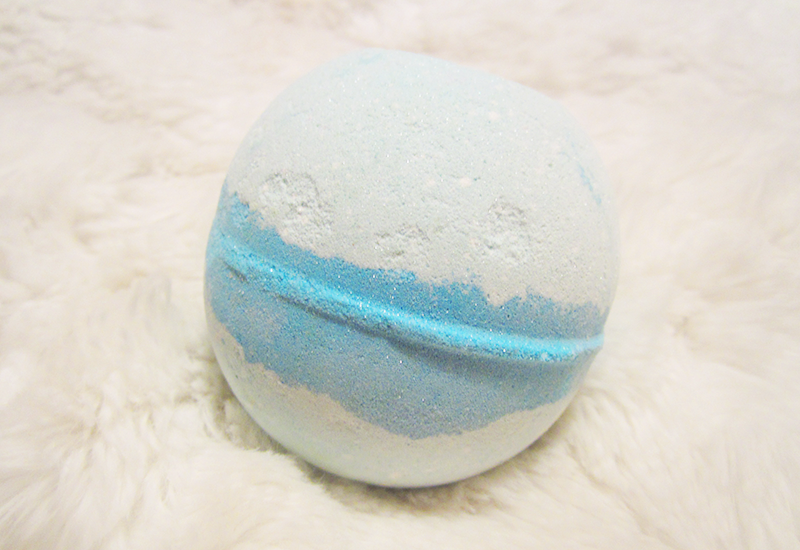 Let It Go is officially stuck in my head again as I bring you my review of the awesome Frozen bath bomb (£3.75)! 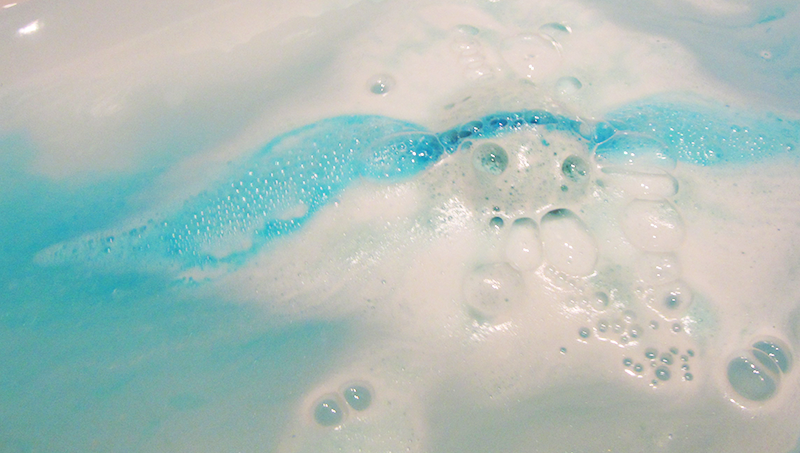 Obviously this bath bomb is themed around the Disney film, using the blue colours of Elsa's dress. Scent wise it has a relaxing mix of grapefruit and neroli, that's a nice refreshing, not too in your face scent. 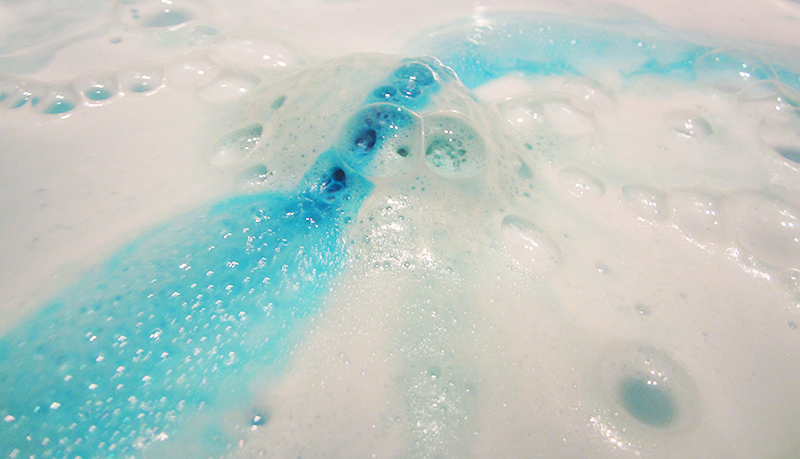 When you drop it into your bath, it immediately starts to spew out blue from it's centre, along with a pretty white and a lighter blue. 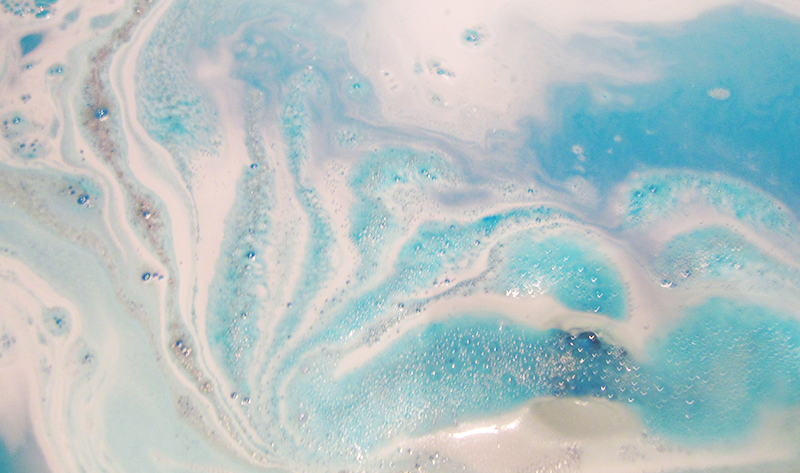 If this wasn't pretty enough, it also has glitter giving your bath a magical icy blue appearance. After around ten minutes or so, the bath bomb fully dissolves and you are left with beautiful blue water with glitter swirling around - definitely one of the prettiest baths I've ever had from Lush and super super relaxing too. All in all the Frozen bath bomb really exceeded my expectations, as it really creates a wonderful relaxing and super beautiful bath. This one is perfect if you're looking to have a relaxing bath, with some added bath bomb eye candy too. Thanks for reading lovelies! What do you think of this Disney themed bath bomb? Thanks :) and me too! No, no, no to Let It Go! Ugh! Am I the only one who thought Frozen was just okay? My husband and I was almost bored to death. LOL! 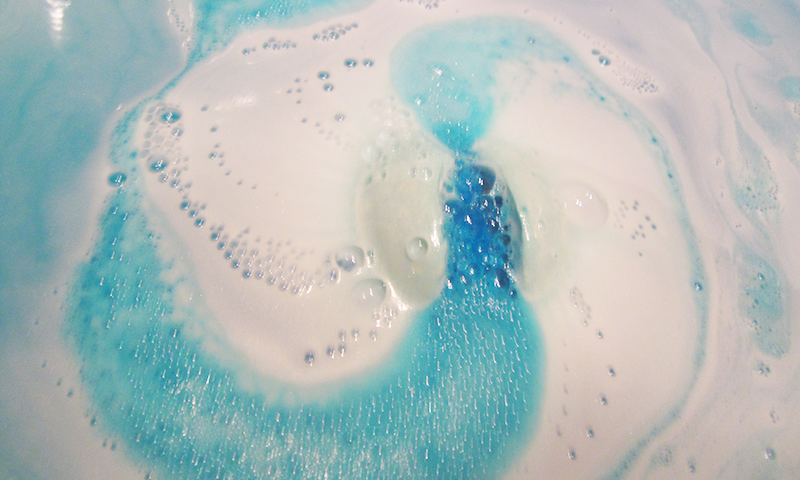 That being said, this looks like a lovely bath bomb, I love how the colours as the bath bomb fizzles out. Haha I remember reading a post of yours saying that. And yeah I liked Frozen but didn't think it was the best Disney film at all - and didn't think it would cause so much hype. Frozen and Lush?! Two of my favourite things, this is a match made in heaven hehe! That is one gorgeous looking bath. :D Love your post!! This bath bomb is so pretty!! I haven't been to Lush in ages! It really is :) One of my faves! This bath bomb looks amazing. I am so jealous that you live near the oxford street lush. Yeah I feel sorry for people who can't go! I've actually never tried anything from Lush before! It really is a lovely one all around (looks and scent)! Great review! It looks so pretty. Thanks - and yes it does! Oh wow, that looks beautiful, love the images you took, I am really missing out on not having a lush store near me.